Going for high-quality roofing will surely protect your home from the elements for years to come. Constant exposure to the elements and the passage of time, however, can degrade its quality and make it vulnerable to weather damage. In any case, it is advisable to take proactive measures in staying ahead of roof damage. Fortunately, you can count on Innovative Roofing and Siding, a GAF Master Elite™ roofing company in Maryville, TN, to provide you with roof maintenance services that can help keep your roof in top shape. As a GAF Master Elite roofer, we undergo constant training learning the latest roof technology and installation methods. This means that we are familiar with different roofs, allowing us to assess their conditions accurately. Our inspection process includes checking if your roof has broken, curled, or missing shingles. We will also check your home’s interior for signs of water damage associated to faulty roofing. Once we finish the inspection, we will provide you with a complete status report of your roof’s overall condition. We will also recommend efficient options, such as roof repair in Maryville, TN, to help fix your roofing issues. Harsh weather conditions can cause massive damage to your roof. 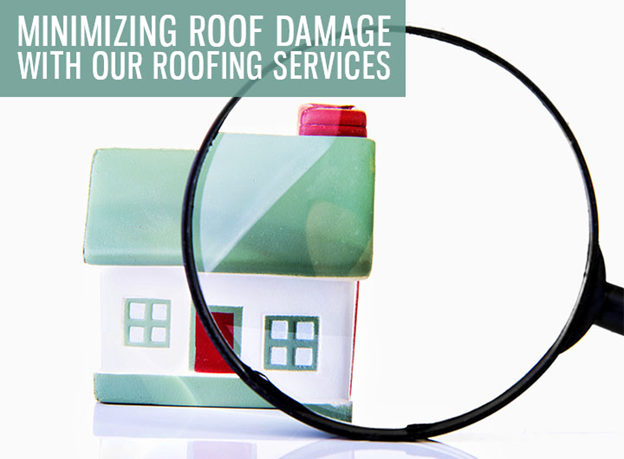 If your roof has sustained severe weather damage, then you can rely on our emergency repairs. You can expect our team of professionals to arrive promptly and make short-term repairs to prevent the damage from getting worse. We will then assess if there is a need for extensive repairs. We take pride in working with insurance companies and adjusters. This will help us help you file an insurance claim to ensure you receive the full compensation to which you are entitled. We can document the extent of the damage for insurance claims purposes. Apart from roofing maintenance, we can also provide you with residential roofing in Maryville, TN, from GAF. We offer roofing shingles that can withstand strong winds and harsh weather conditions for a long period. They are also available in a wide range of profiles and colors to match your home’s architectural style. Lastly, they come with warranties for your peace of mind. Stay ahead of roof damage with professional help from Innovative Roofing and Siding. Call us today at (865) 444-6070 for more information about our roofing maintenance services.